How to Design a Homeschool Schedule that Works! In many families, a good homeschool schedule can mean the difference between peaceful, orderly days and days of total chaos. It can benefit both moms and children to have a structured, predictable routine follow each day. However, great routines aren't one size fits all. 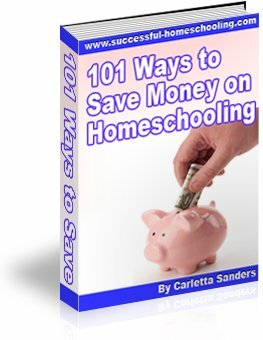 The best homeschooling schedules are tailored to the needs of individual families. Watch the following video to see how we homeschool with babies and toddlers around. Below that are step by step instructions for creating a routine that will work for you! Keep your personality in mind when designing your schedule. Do you like following the same routine from day to day? Do you get bored easily and often need a change of pace? Do you work better on a strict time schedule, or do time pressures cause you to feel stressed? If you prefer flexibility and loose time requirements, you may prefer scheduling in the form of a checklist of what you need to accomplish each day. If you prefer having a consistent routine from day to day, you may want to write out a daily schedule in 30 minute or 1 hour increments of time. Design your homeschool schedule around specific anchors in the day, such as wake-up time, mealtimes, nap time and bedtime. This type of scheduling can work even if you don't have a timed routine. For instance, if you don't wake up at the same time each day, you can still follow wake-up time with breakfast and morning read-alouds. Developing a routine scheduled around anchors provides a consistent, overall flow to your day. Consider your family's natural habits and preferences. Do you tend to wake up early or late? Are you more productive in the mornings, afternoons or evenings? Does your spouse have odd work hours? Don't limit yourself to a traditional schedule. Also, remember that different members of your family may have different needs. Make a list of tasks you need to accomplish each day, then reduce your list by half. Homeschool moms are notorious for overestimating their capabilities and demanding too much of themselves. Over-scheduling often leads to frustration, burnout or abandoning the schedule. Don't force yourself to move at a hectic pace all day. Allow yourself some downtime to rest, and some leeway for unexpected interruptions. Decide how detailed or general you want to make your schedule. Some families work better with a schedule that designates specific subjects, chores and activities, such as "science," "vacuum," or "playtime in the backyard." Others work better by designating time for general blocks of activity, like "school," "chores," and "free time." Again, the best routine is one that meets your family's needs. Once you've spent some time thinking about what you need from a homeschooling schedule, you'll be ready to put your schedule together. This daily scheduling worksheet, weekly scheduling worksheet or checklist scheduling worksheet may help you with this task. Start by penciling in items that must occur at specific times, such as lessons, meetings and activities that occur outside of the home. Remember to allow yourself time to prepare for and arrive at such events. Next, pencil in the anchors your day will revolve around, such as mealtimes and rest times. Finally, fill in the rest of your daily tasks according to your family's natural preferences. It may take you a few weeks to get used to your new routine, and you may have to make some adjustments along the way. Remember, your schedule is a tool and not your master. To see sample routines or share your own, check out our collection of homeschooling schedules.